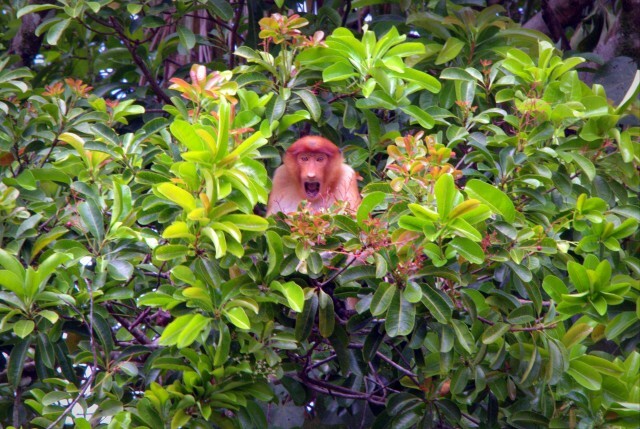 Kuching, city of CATS on the island full of jungles and the famous DUTCH (noseeeee) monkeys! We left Perhentian paradise at 8 AM by water taxi to Kuala Besut and ordered a minibus to Kota Bharu airport for 70 ringgit (18 euros). Apparently we ordered it including 5 Russian tourists who at that time already sipped a little too much vodka…. When we arrived at the airport two hours later, we had to entertain ourselves for another 4 hours. Brrrrrrr, a GIGANTIC croissant and an little bit of arguing at the desk of AirAsia (because we wanted to book another flight for our trip after Kuching, but the counter clerk wasn’t very helpful. As in: faking he couldn’t speak English and when we finally found our wanted flight the price ‘suddenly’ increased with one-third. Waaaaaaaai? BAAAAI!) 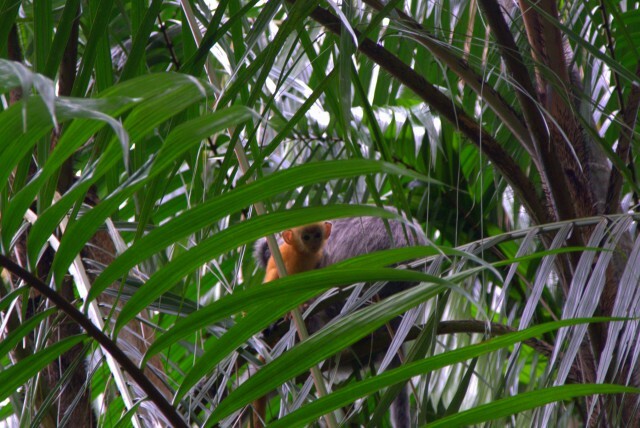 later, it was time to catch our plane to Borneo! After arrival at Kuching airport (to be more specific), we quickly grabbed a cab and went to our A-MA-ZING hotel! 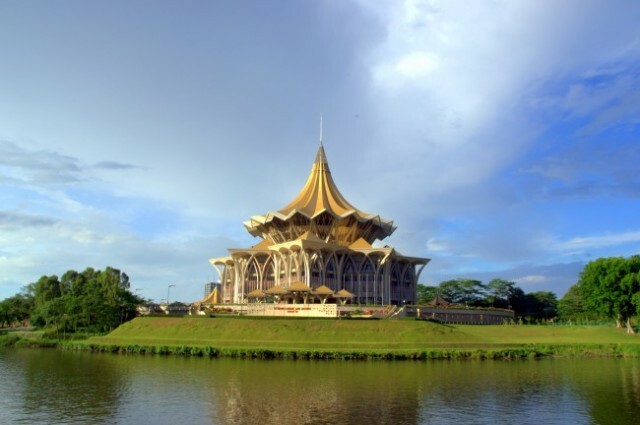 Kuching is the capital of Sarawak, a Malaysian state on the island of Borneo. After 200 years of being part of Brunei, Kuching became the capital of the realm of James Brooke. He was the first white Rajah (or prince) of Sarawak during the mid-nineteenth century. After the reigns of the Rajahs, Sarawak got occupied by Japan for four years, became a British crown colony in 1946 and can call itself independent since 1963. Our hotel was more than amazing and without knowing anything about the other hotels, I dare to say that this is the BEST place in town! Basaga Holiday Residence is THE NAME! The name Basaga is derived from the red seeds of the many Saga trees which were found around the compound and called ‘Buah Saga’. 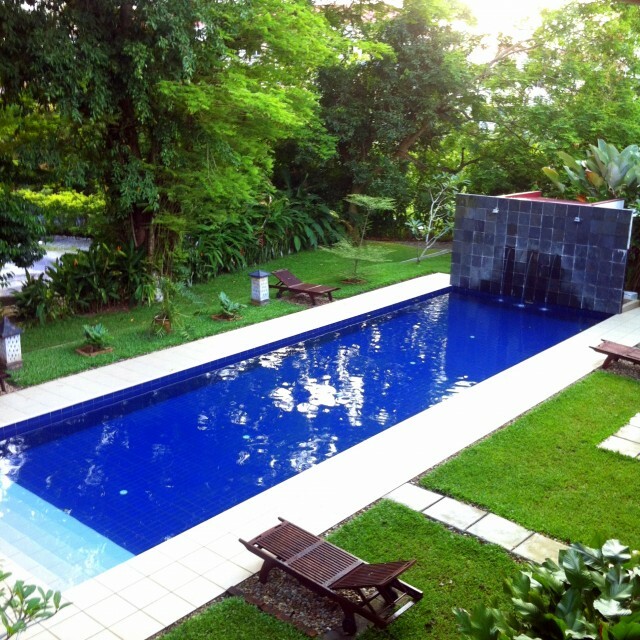 This residence is placed between a couple acres of tropical gardens with tall trees. 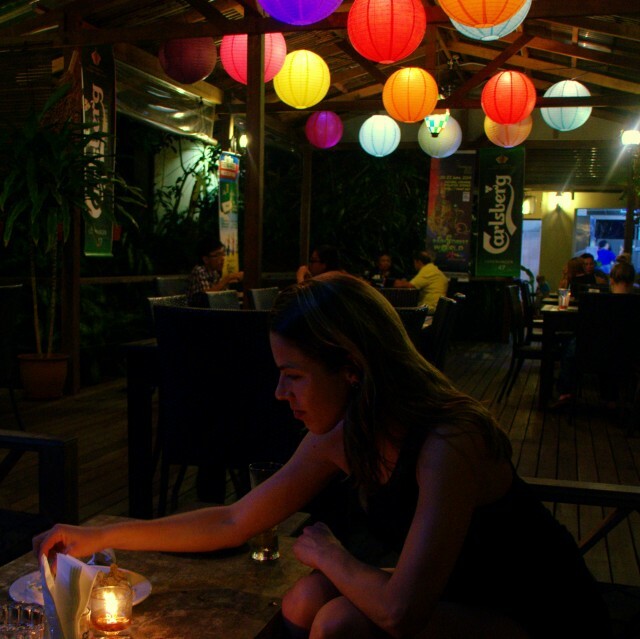 It’s divided in different outside areas, a complex with thick wooden columns and multiple roofed areas full of brightly colored paper lanterns and Malay attributes like CAT STATUES and a swimming pool. The suites are situated in a double-storied barrack that served as a classroom block during the 1960’s. PLUS, there’s de-li-ci-ous food AND it’s very affordable! A serious MUST place to stay! 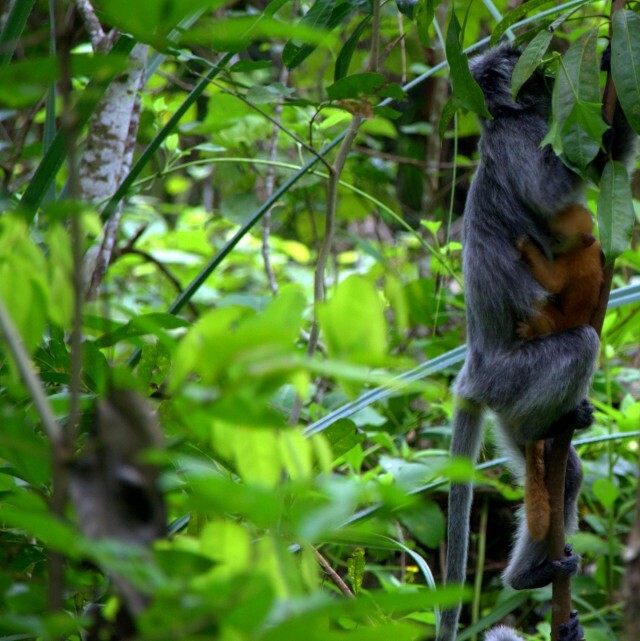 Borneo is a true hot spot for nature lovers. You can find orangutans (yes, you can… It practically never happens, but it’s possible..), so-called Dutch monkeys, crocodiles and the largest flower in the world: the Rafflesia. 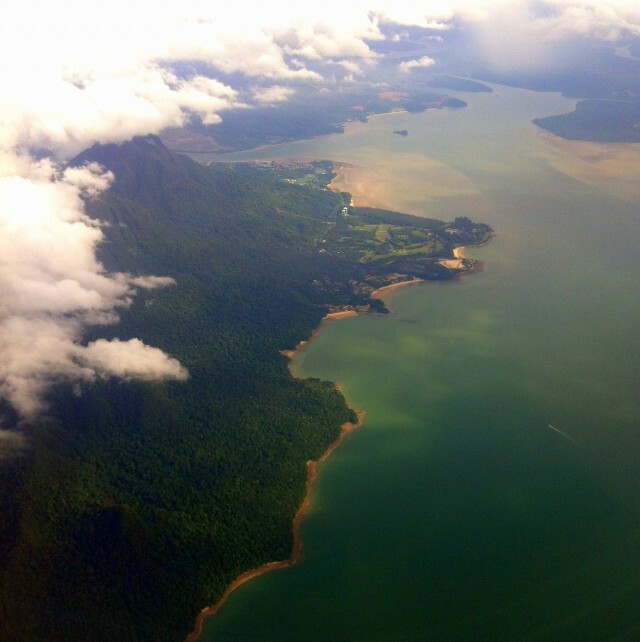 Sarawak is the largest state of Malaysia and the place where you can find some of the most beautiful national parks! 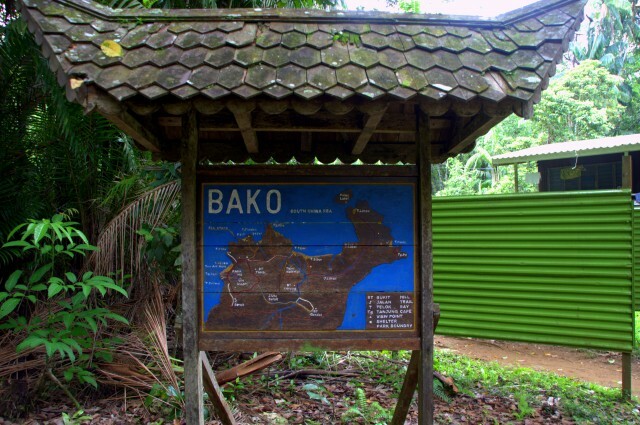 We booked a trip to Bako National Park, Sarawak’s oldest national park, via our hotel. Brandon, the brother of Basaga’s owner, brought us by car. When we arrived, we were welcomed by our tour guide Ismael who took us to the water-TEKSI and ferried us to Bako (placed on the Muara Tebas peninsula). Ismael was the BOMB! I really loved the way he spoke with this incredible amount of passion about his work and the importance of protecting our natural heritage. This walking encyclopedia gave us so much info. Many fun facts, like the (I think it was named Agarwood) tree which contains an expensive ingredient ($300.000 for 1 gram, HI!) used in perfume making. 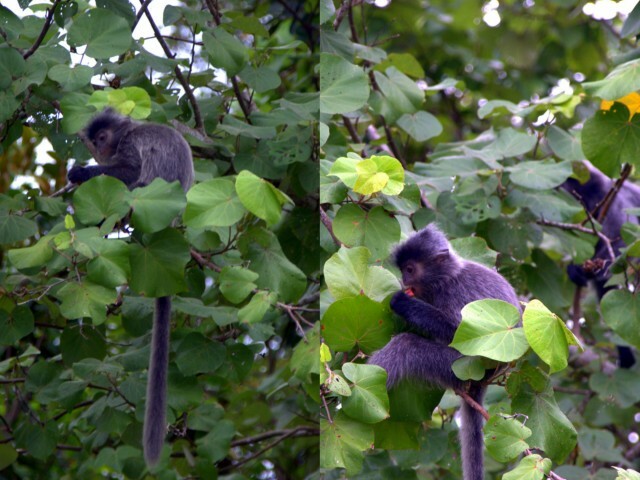 And then, there where the monkeyyyys (BIG fat red heart)! After this super instructive day, we said Ismael goodbye and crabbed a taxi with the SLOWEST taxi driver ever! It took Brandon 20 minutes on the way up, but it took this driver an hour full of horrifying moments! Lucky us we agreed on a fixed price before we got into this driving hell! But then we arrived at our Besaga residence… Chilled out, dined and went to bed, because the next day was BALI-day! (yep, we rescheduled our original travel plan, because NO sun = not likeable me ;-)).